At EPIC Primary Care, our goal is to make it easy for you to get your medication when you need them and ensure you are taking the right medicines at the right time. We have multiple options to choose from to help you fill your prescription quickly and easily. Sign up for My EPIC Chart for 24/7 access to your medical and prescription records. You can request prescription refills online anytime. 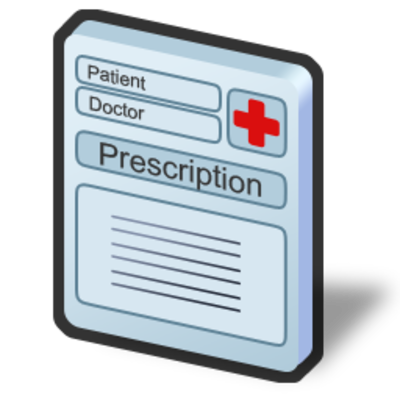 Prescriptions are electronically sent to your preferred pharmacy. No paper Rx needed! Print out a medication list to bring to your next office visit. Some medications require close supervision by your EPIC doctor and will require you to come into the office prior to any refills. Your refill request can be completed with a couple of clicks. Send your doctor a secure message or make an appointment online. Check your medication bottle for refills. If you do not have refills, our care coordination team can help request a new prescription from your doctor. Call us at (248)336-4000 for assistance. After hours? Call our care coordination center at (248)336-4000 and follow the prompt message to get your refill. All prescription refill requests are reviewed by our medical team before submitting to your pharmacy. We receive hundreds per day. If you absolutely need your prescription refilled today, call our care coordination center (248)336-4000 and make them aware of your urgency. NOTE: Changes in Federal law limit what prescriptions can be re-filled without an office visit. Before you come to your regular appointment, you should look over your medications, diabetes supplies, inhalers, etc. to determine if you need to request any new prescriptions at your appointment. We do require office visits on a regular basis for all of our patients taking prescription medication. The interval will vary depending on the type of medication prescribed. It is our goal to provide you enough refills on your medication until your next office visit. If you call to request a refill but are overdue for a follow-up visit and/or blood work (necessary for monitoring the safety or effectiveness of a medication), your EPIC provider may agree to call in enough medication to a local pharmacy to last until we are able to schedule an office visit (up to 4 weeks supply). It is your responsibility to schedule an appointment before you run out of medication. You should schedule your next visit before you leave our office. We no longer accept refill requests for any controlled substance by telephone, web portal, or email. Controlled substances will be given during an office visit in an adequate amount to cover you until your next scheduled office appointment. Unless told differently by your clinician, ALL paperwork including insurance forms/disability forms/FMLA/School forms etc MUST be filled out with your clinician. No form drop offs will be allowed any longer. Thank you for choosing EPIC Primary Care, your Patient-Centered Medical Home. We look forward to working with you to assure safe and high quality medical care.